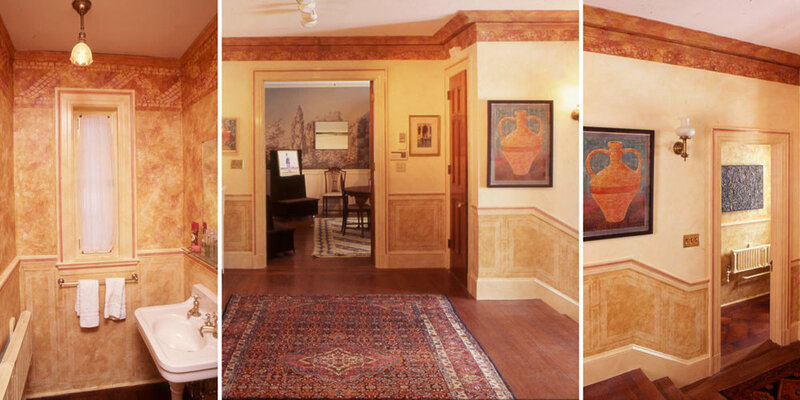 Whether you can already envision what you’re looking for or need help to guide you to the right finish, Marie Locke of Ralff and Sons specializes in a wide variety of wall painting techniques. Glazing, colorwash, parchment, linen, hand painted patterns and stenciling are just a few of the paint finishes she has to offer. Scroll through some of the options to see how she can assist you.